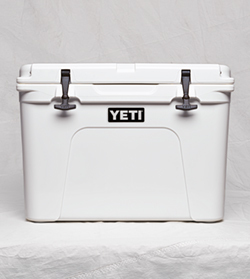 If you’re going to hit the water, you can use this cooler as a casting platform or seat while fishing. What goes through your head when you first wake up in the morning when you are on location as a guide? Where is your favorite place to guide? That is a very difficult, almost impossible question to answer, as every location I guide has something different to offer. But let me try to narrow it down. 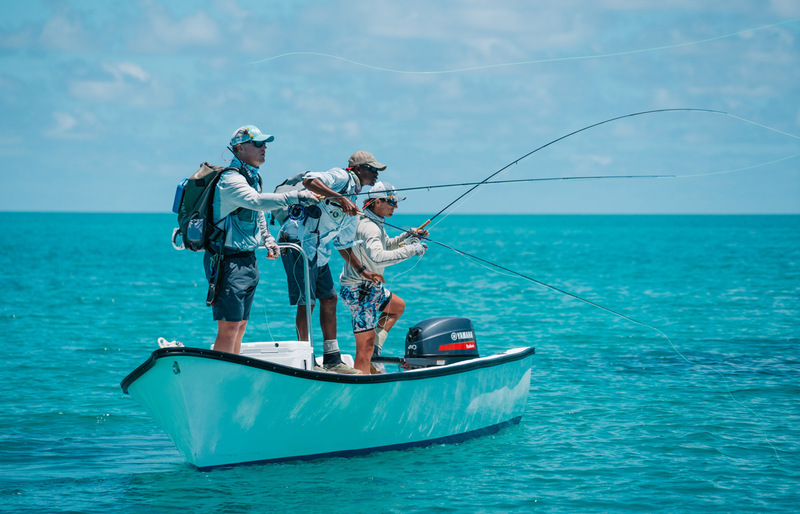 I think if you speak to anyone who has been to Seychelles, they will agree that it’s one of the best locations in terms of the sheer number of species you could fish throughout the season. It is also one of the best spots for catching GTs. I don’t know any other fish that will hit the fly with the pure power that a GT will. Just imagine you are walking along a flat and in the distance you see a shark, but something is different about this shark. What is that around it? A dozen sickle tails, holy sh*t! Those are all GTs. OK, let's try and keep our cool and get into position; let's head closer to the shark. What are you crazy? Trust me. OK, just cast the fly in a 30x30 ft. radius of the gang of GTs. OK, nice! Start stripping, strip, strip, strip, faster, strip.... F%$#, they are all coming, strip! Boom! Hold on, turn the drag all the way! How can you not just love that?! I mean, even as the fish takes the fly, his whole head comes out and looks you straight in the eye as if to say, this is mine, get your own! I mean who could not love that! 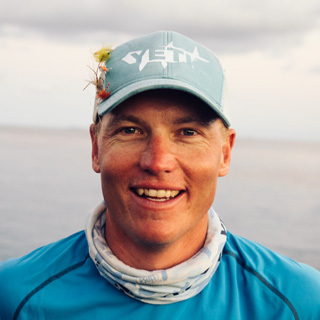 Seychelles is really one of my top guiding destinations but do not be mistaken, Mongolia is also one of the best places to fish for monster Taimen on these huge squirrel flies. And of course, if you are looking for something a bit more elegant with hints of grandeur, nothing beats Atlantic Salmon. You can feel the excitement build when you see these 20-pound Chromers swimming past you as you wade through to your desired spot. I always love a challenge and a new piece of water and to keep the fisheries as diverse as possible allows me to better myself as a fishing guide in every situation. I also love spending time with guides, industry leaders, and just casual catching­ up and swapping stories. One thing that has always been very important to me is that you should never be arrogant about your skills or knowledge. There is always something new to learn or knowledge to be shared! Speaking purely in terms of the industry, my top four heroes are Flip Pallot, Lefty Kreg, Dale Perez, and Chico Fernandez. The sound of a reel spinning at maximum speed – nothing beats that noise when you are on the water. What would your day job if you weren’t doing what you are currently doing? I would most likely be tying flies sitting in my cabin in the mountains...brewing my own beer and catching fish all day - every day! When I’m guiding, clients have sat on it [YETI Tundra], stood on, and, even on one occasion, we had a Mongolian guide’s life saved by it! Speaking purely in terms of the industry, my top four heroes are Flip Pallot, Lefty Kreh, Dale Perez, and Chico Fernandez.